Most of us blink about 3 to 4 times a minute on average although there are times where we tend to blink more or less frequently for short periods of time.When blinking is either excessive or infrequent for prolonged periods of time then it is considered abnormal and needs to be investigated. These abnormalities may be due to habit, eye and eyelid conditions as well as problems with the muscles that move the eyelids or the nerves that coordinate it. Blinking serves several functions including wiping away any dust or dirt that makes contact with the eye surface as well as distributing tears over the eye. This ensures that the eye remains moist and dust free and blinking 3 to 4 times per minute on average achieves this purpose. When the eye surface is dry, too moist or exposed to more dust than normal, it is not uncommon to blink more frequently. Similarly we tend to blink frequently when exposed to bright light. Infrequent blinking is more often due to being distracted like with concentrating when reading or looking at a computer screen for long hours. If these alteration is normal blinking habits is temporary then it usually does not pose much of a problem. However, when it persists for hours or even days then it can lead to eye discomfort or even progress to complications. There are a number of different causes of abnormal blinking which may be associated with environmental factors (extrinsic) or problems within the body (intrinsic). Any irritants that make contact with the eye surface will naturally lead to excessive blinking as the eyelids attempt to brush away the irritant. Dust, sand, smoke, smog and other air pollutants are the more common irritants. Soap, shampoo, eye makeup and contact lenses can also be irritants. Eye dryness may occur for a number of reasons. Sometimes it is associated with dry climates, eyestrain and insufficient tear production as is seen in conditions like Sjogren syndrome or dehydration. Usually the dryness prompts a person to blink more frequently but can also lead to infrequent blinking. Allergies of the eye or surrounding areas like the nose is a common cause of redness, excessive tearing and itching of the eye. Eye irritation also occurs with allergic rhinitis (nose) and sinusitis (paranasal sinuses). These conditions are triggered by inhaled allergens like pollen, house dust mite and molds. Inflammation of the clear lining on the eye surface and inner eyelid is known as conjunctivitis. It is often due to viral infections and leads to “pink eye” outbreaks. However, other pathogens like bacteria may also be responsible at times. Conjunctivitis can also arise with allergies. Blepharitis is inflammation of the eyelid that may arise for many of the same reasons as conjunctivitis. Allergies, infections and physical or chemical irritation are the common causes. Certain skin disease like rosacea and seborrheic dematitis can also lead to blepharitis, as well a blocked oil glands certain mite infestations. Some contact lens wearers blink very frequently while others blink infrequently. The lenses, despite being comfortable, are still perceived by the eye as an irritant particularly for new lens wearers. Sometimes blinking can shift the lenses out of position if poorly fitting and wearers may avoid blinking as far as possible. Corneal inflammation (keratitis) may also cause abnormal blinking. 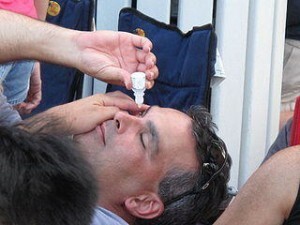 It is often associated with injury to the eye or an infection. If the trauma scratches the cornea then it causes an abrasion of the cornea further increasing the risk of an infection. Sometimes open sores can form (corneal ulcers). Some conditions that affect the deeper layers of the eye can also lead to abnormal blinking. Inflammation of the iris is known as iritis and inflammation of the middle layer of the eye (uvea) is known uveitis. Both can lead to changes in normal blinking habits. Nerves control the muscles of the eyelids that causes it to open or close. These nerves arise from the brain. As a result any problem with the nerves or brain centers controlling eyelid movement can lead to abnormalities in blinking. Sometimes the problem is due to psychological factors like with anxiety rather than it being an entirely neurological problem. Blepharospasm is a condition where the eyelids involuntarily close tightly. Dystonia is a condition where the muscle contract involuntarily leading to repetitive movements and twisting. Parkinson’s disease is neurodegenerative condition that affects movement and coordination. Strokes are where the blood supply to a portion of the brain is impeded leading to brain tissue death. Tics or twitches are where a group of muscles suddenly contract repetitively and it often affects the eyelids. Tourette syndrome is a nervous disorder where there is uncontrollable movements. Excessive blinking has also been noted in attention-deficit hyperactivity disorder (ADHD) but it is important to exclude an co-existing disorders as well. The choice of treatment depends on the underlying condition since abnormal blinking is a symptom. However, in more common cases the excessive or infrequent blinking is related to conditions like overuse of computer screens, prolonged reading, allergies and with contact lens use. Moisten the eye regularly with appropriate eye drops. Contact lens wearers should only use eye drops that are approved for use with contact lenses. Avoid bright light, including sunlight or artificial light, and use protective eye wear when necessary. Do not try to read or use a bright screen in a dimly lit or dark room. Take regular eye breaks when using a computer or reading. The 20-20-20 rule is helpful. Every 20 minutes look at on object about 20 fee away for at least 20 seconds. Avoid allergens (triggers) that may flare up existing allergies. 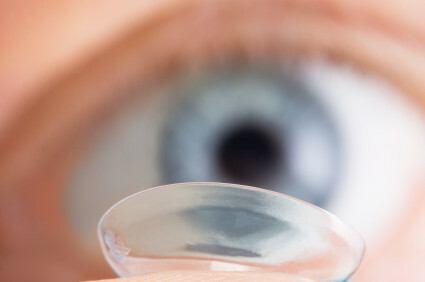 Discard contact lenses that are disposable as and when instructed. Do not wear lenses for too long in a day. Always clean the hands before inserting or removing lenses and never share lenses, even cosmetic contacts, with others.